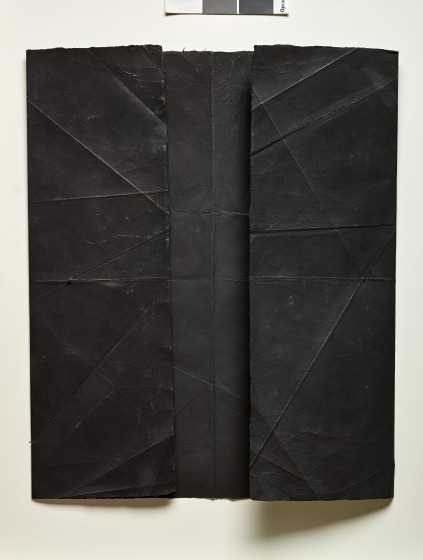 To create her Commuter series, artist N. Dash carries paper with her on her daily subway rides; creasing, folding, and unfolding the material in these periods of transition and pause between daily activities. 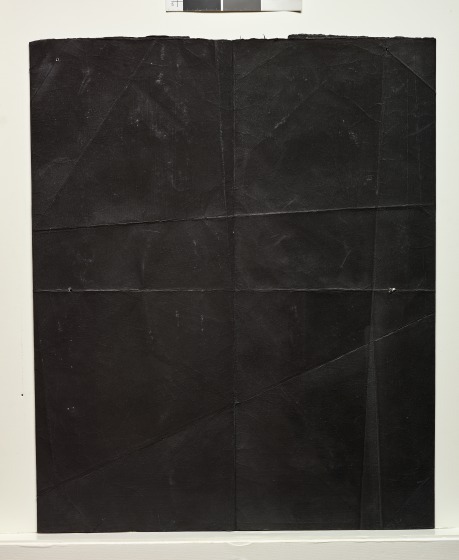 When she arrives in her studio, she preserves the worn paper, enhancing the details of her manipulation through a dense coating of powdered graphite. Using touch as a means to translate experience, Dash creates what she considers to be "primary source material," an index of her movement across space and time. 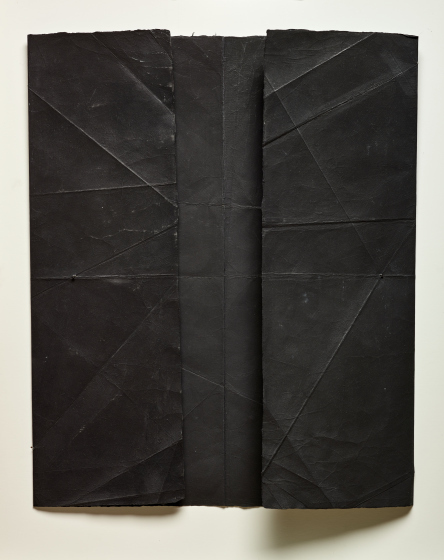 Through this recurrent practice, the artist transforms blank material into an intimate and topographical, yet untouchable, record of her own tactile perception. Elise Armani, DMA Label text, Body Ego, 2018.